Mould: Get Rid of It! Health Canada recommends that all mould, regardless of the species, be cleaned and that the underlying water, humidity, or condensation problem be dealt with quickly to prevent potential health issues. Do I Need to Test for Mould? Stains or discolourations on floors, walls, window panes, fabrics, carpets and other indoor surfaces. The concentration of mould spores in indoor air will vary widely over time. There are different types of mould species and each has its own level of potency, or impact on human health. Different people have different levels of sensitivity to the various types of mould. Not all mould is obvious. It can also grow inside walls or above ceiling tiles, so it is important to check for the presence of mould anywhere damp or moist, and especially where water damage has occurred. Clean the mouldy surface with water and dish detergent. There's no need to use bleach. Fix the underlying cause, whether due to water damage or excessive humidity. You can generally clean small and moderate areas of mould by yourself, but you should consider getting professional help with extensive mould growth. 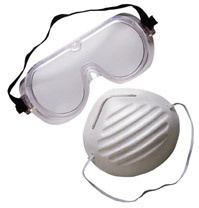 When removin g mould, you should wear proper protective equipment, including rubber gloves, eye protection and a dust mask (N95 should be sufficient). You may also want to isolate the area by taping plastic sheeting to walls and ceiling to prevent the spread of dust and mould particles. Sensitive individuals should not be in the same or adjacent rooms during the work and may choose to leave the house until the mould is removed. You might consider hiring a professional if there is a large amount of mould or if the mould keeps coming back after you clean it. A large amount of mould is often also the result of a larger problem, such as a leak in the foundation or a major flood, which may require professional help to fix. How Do I Prevent Mould Growth? Repair basement, roof and pipe leaks as soon as you notice them. Keep your house or apartment dry by always using the kitchen and bathroom exhaust fans. If you don't have any fans, open the windows for a short time to re-circulate the air. However, damp outdoor air will not help dry the inside, and can spread the moisture to other parts of your home. Make sure that clothes dryer hoses are properly connected and vented to the outside. 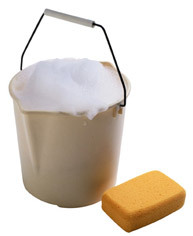 Ensure your tubs and sinks are properly sealed to prevent water from getting into the walls. After a flood, or any type of water damage, be sure to completely dry the flooded area within 48 hours. Measure your indoor humidity level with a hygrometer and keep the humidity at around 50% in the summer, and 30% in the winter. If necessary, you can use a dehumidifier to reduce the relative humidity. Discard clutter and excess stored materials. Mould can grow on fabrics, paper, wood and practically anything that collects dust and holds moisture. Keep your house or apartment clean by vacuuming regularly. Don't over-water your plants, and watch for signs of mould in plant pots. Maintain adequate heating temperatures in basements and crawlspaces.